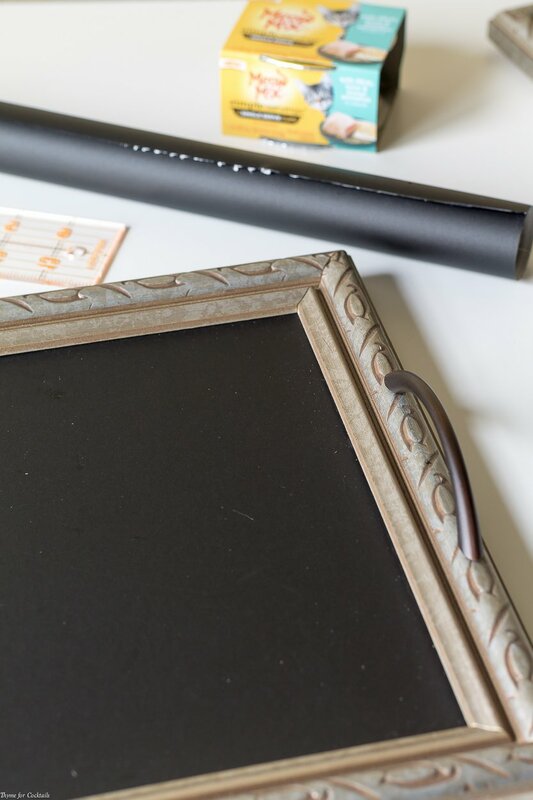 You can easily upscale an old picture into this DIY Chalkboard Serving Tray tutorial with a few simple items and about 30 minutes of your time. 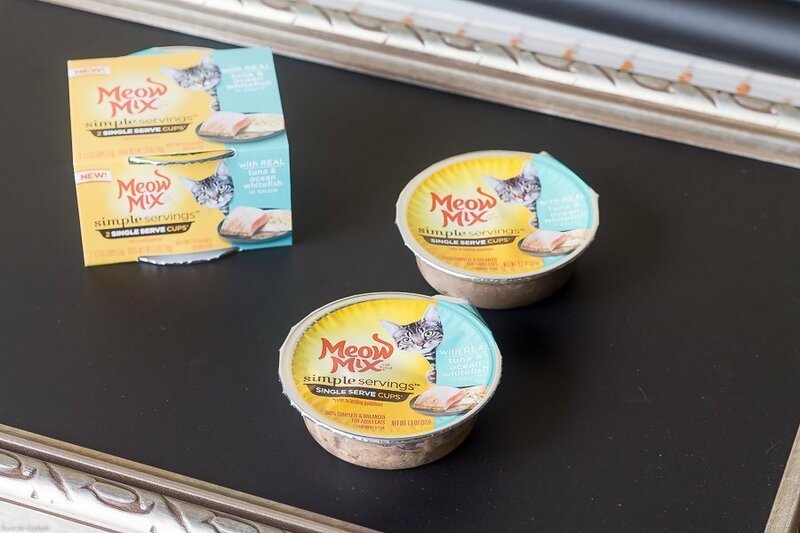 It’s great for serving your favorite felines and humans! Part of being a pet parent is acknowledging your life is no longer your own. It doesn’t matter if your feline friend hogs the foot of the bed, picks your laptop as the purrr-fect place to take a nap, or decides 3am is a great time to get in a little exercise; we pretty much accept whatever antics they come up with! Now if you are anything like me, your kitties rule the roost and you spoil them more than you do yourself. I’ve been wanting a new serving tray for when we entertain, but kept stalling. Until a neighbor decided to donate these pictures. 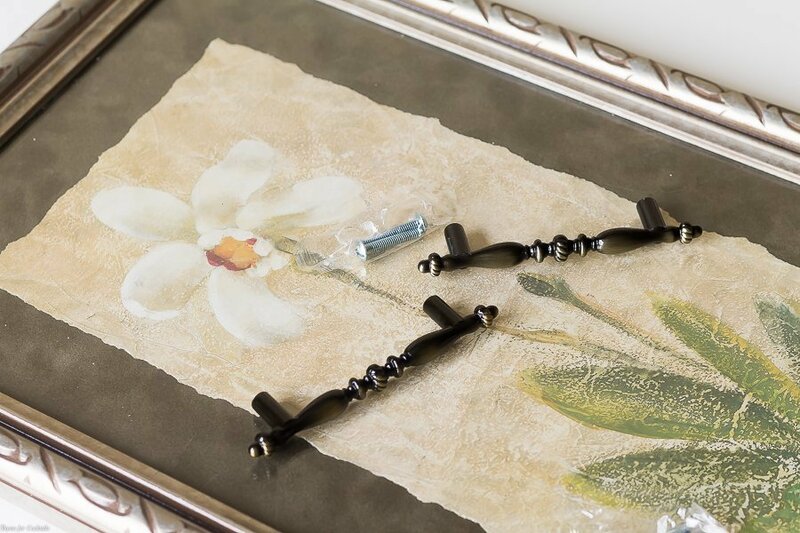 I kept looking at the design on the frame and it reminds me of cats! I will admit I am horrible at Pinterest. Crafting just isn’t in my blood. BUT I do love to repurpose items rather than toss them out. 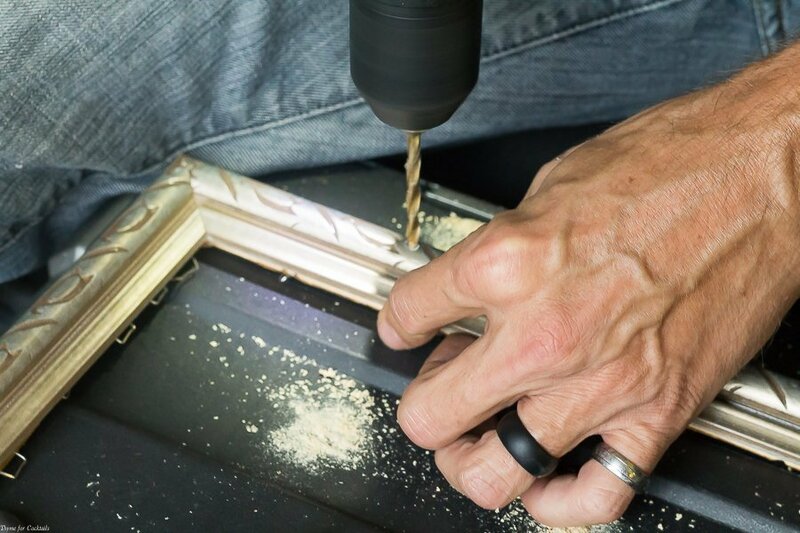 Paul is my hands-on helper and he confirmed how easy it would be to turn those frames in this DIY Chalkboard Serving Tray tutorial. Naturally the cats are always in the middle of things so why not make one for them too! Paul and I made a quick trip to Meijer for a few basic supplies like cabinet hardware. 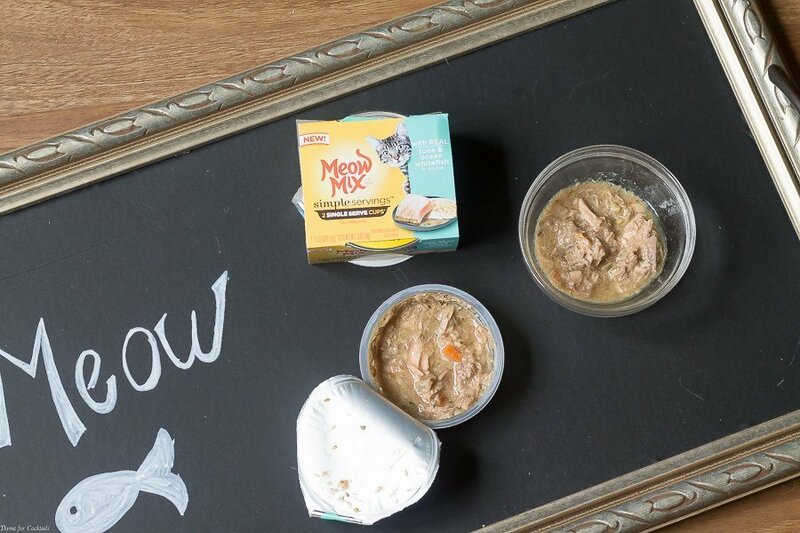 Plus the cats favorite Tuna & Ocean Whitefish Meow Mix Simple Servings. What is the point of having a fancy serving tray if we have nothing to serve them, right?! With Simple Servings all you have to do is open and serve—it’s that simple. I love that Simple Servings is single serving of delicious wet cat food in a convenient, mess-free cup. You can find a variety of flavors made with pieces of real seafood or poultry in a savory sauce or gravy. Right now you can even save with this 30% off mPerks offer running from 10/08/17 – 11/04/17! 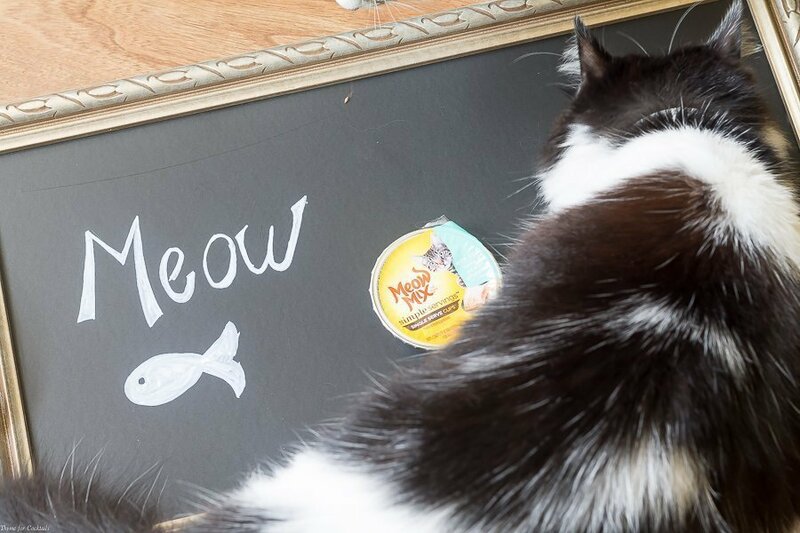 I was excited to make our DIY Chalkboard Serving Tray, but to be honest chalkboard paint is hard to work with when you live in a hotel room with two cats. I have used chalkboard contact paper in recent projects instead. 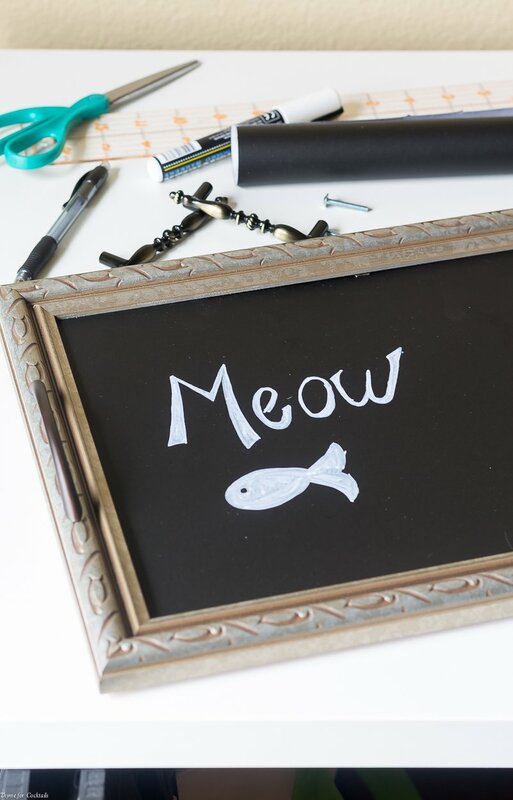 Unlike chalkboard paint, contact paper doesn’t need time to dry. Plus I love that it can be easily wiped down making clean up a snap. Once we took the pictures apart, Paul was more than happy to measure out and drill holes in the frames for the cabinet handles. Once you drill the holes simply screw the handles into the frame. When you are shopping for the handles, keep in mind how thick your frame is. You might need to swap out the screws for ones that are the correct length! I wrapped the glass from the pictures in contact paper while the fur kids nosed around. 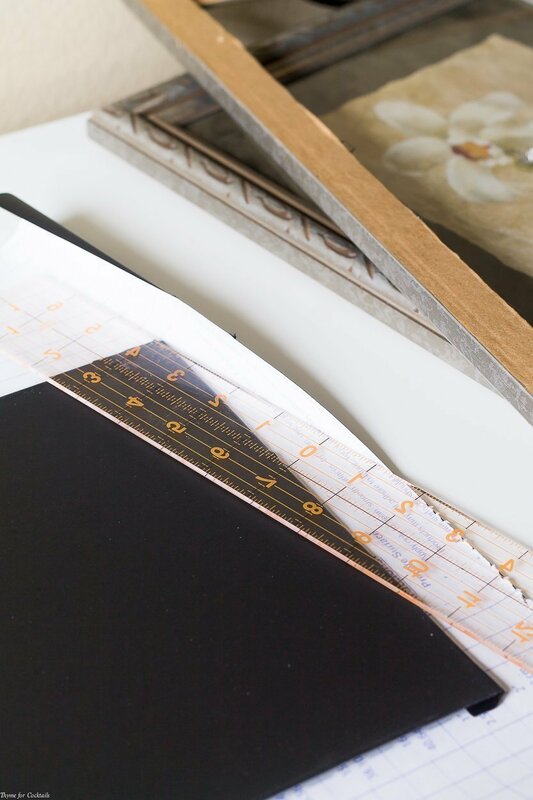 If you are at all concerned about using glass, you can substitute a piece of ply board cut to fit your frame. We used the staples already in the frame to reattached the base. If you need to reinforce it small wood nails work well. Between the four of us it took less than 30 minutes to complete this DIY Chalkboard Serving Tray tutorial. I’m pretty sure the kids liked snacking on their Meow Mix Simple Servings more than anything though! 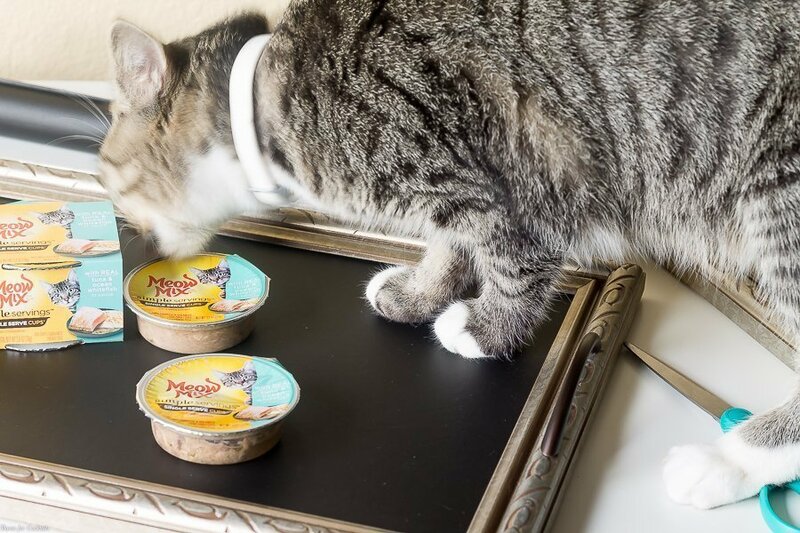 What lengths do you go to spoil your feline companions? 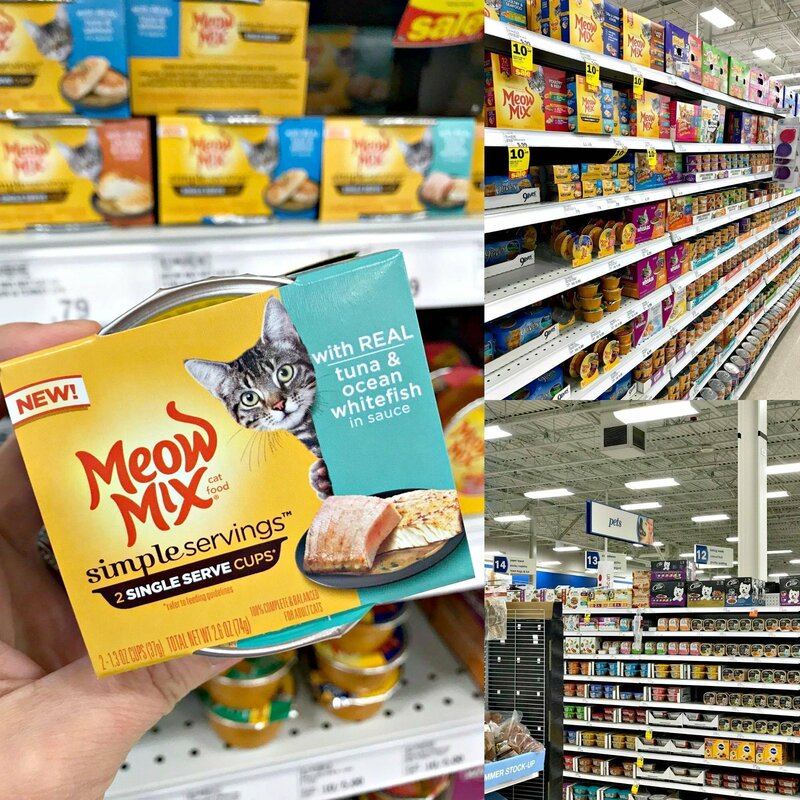 Which of the Simple Servings flavors available at Meijer are your cats going to love?